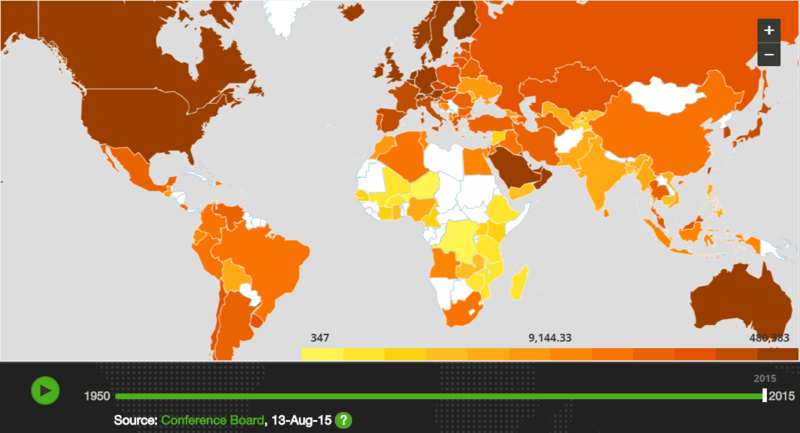 A new interactive map highlights the huge global differences in wealth that still remain, despite the progress made in tackling poverty. By looking at GDP per person from 1950 to 2015, the map shows both the changes in personal and household wealth at a national level, but also around the world (click on the screenshot below to access the full interactive version). 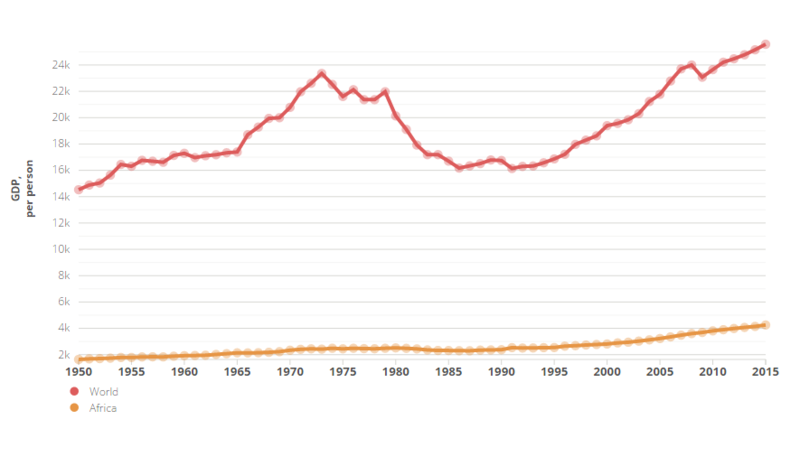 The data highlights the overall increase in prosperity since 1950. Sixty six years ago, global average GDP stood at a little over $14,500 per person. By 2015, this had risen to nearly $25,600. Asia has made noticeable progress, with China, Japan and South Korea all seeing increases. Latin America has also seen improvements. 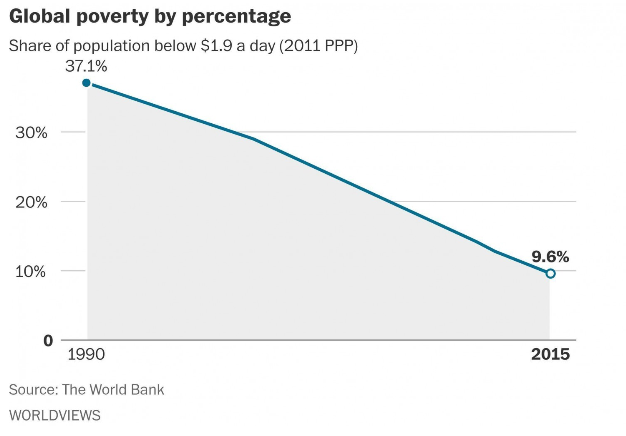 This is all part of a broader trend of global poverty reduction. In 2015, the percentage of the world population living in extreme poverty fell beneath 10% for the first time. The map emphasises the extent of global inequality, with the huge differences between regions and countries failing to narrow. And Africa, in particular, continues to lag behind much of the world. Although some data is missing, much lower levels of per capita GDP exist across the continent. As this chart of the data used in the map shows, average GDP per person in Africa is now over $20,000 less than the global average. However, the suitability of GDP to measure progress and prosperity is a matter of some debate. Is there a problem with GDP? At the World Economic Forum’s Annual Meeting 2016, leaders discussed whether GDP was an adequate measure for well-being and the health of economies. This is important context when viewing the map. However, it shouldn’t detract from the global picture that emerges – both the progress made and the challenges that remain.